On Sunday, November 4 in Italy, we remember the end of the First World War and it is also the feast of the armed forces. To commemorate this festivity, an event was scheduled in the beautiful Piazza Unità d’Italia in Trieste, and was attended by all the representatives of the armed forces parading in front of our President Sergio Mattarella. During these events, the Italian national anthem is sung. Who could do this better than our talented PIERO, GIANLUCA and IGNAZIO? Here they are in their impeccable execution. What an honor, to sing the national anthem on these occasions. The guys were very good, very elegant and very moved. The event was broadcast live on RAI 2, and the thing that I really appreciated is how the boys were presented by the reporter, and now I bring you back. “The Frecce Tricolori bring the colors of Italy to the world. To bring the colors, the language, the traditions of Italy to the world are also the three boys who will sing before the President of the Republic, are the guys of IL VOLO, two tenors and a baritone. 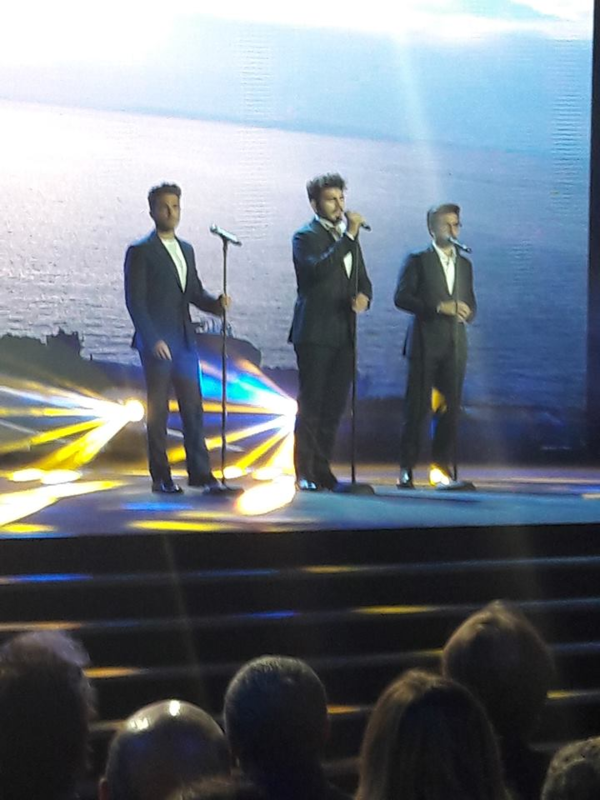 Piero, Ignazio and Gianluca will sing the national anthem. Truly represent the GRACE, the EDUCATION, the SYMPATHY, the SKILL. What a great satisfaction to hear these beautiful and very right words. How nice to see our guys in photography with our President. It was all so engaging and fast, but for those few minutes I felt full of pride. 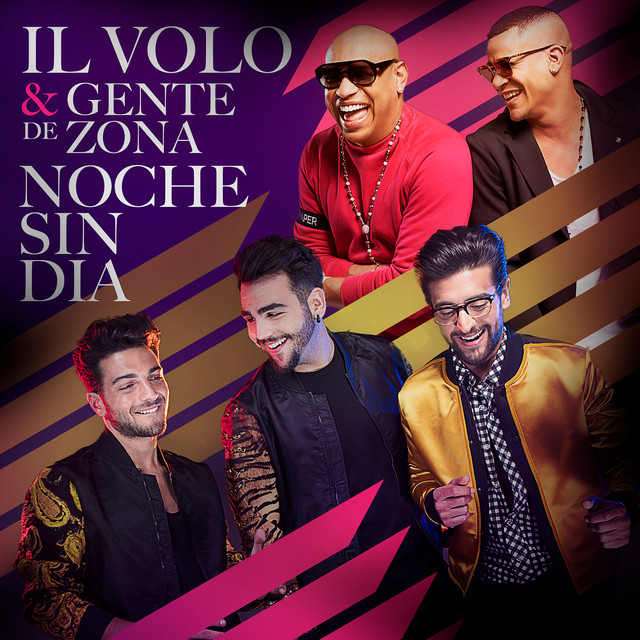 Giorgi is a radiant councilor who tells Trieste about the meeting with the trio of IL VOLO, which took place in the backstage of Piazza Unità during the celebrations of November 4, in the presence of the President of the Republic Sergio Mattarella. This is instead the tweet of Gianluca, which I translate. And now some good shots. There is nothing to add, the photos and videos speak for themselves as usual …… and as usual, so much pride !! Daniela, Pride is certainly the only word that pertains. If any one or all were my son/sons, I’d probably end up having heart surgery again-the pride would be too taxing on a weak heart! You’re right Mark, we felt proud, I imagine that the parents of Ignazio, Piero and Gianluca, will have been super proud. Ciao Daniela, the boys are truly “The Voice of Italy”. We are so proud of them. I can’t imagine what their families were feeling as they were singing I’ll Canto Degli Italiani or also known as Inno si Mameli . Thanks for posting this for those who have not seen it yet. Hello RoseMarie, even if all the Facebook pages and sites were full of images of our guys, I thought that knowing what was said about their presence, would have done well to all our hearts. Daniela, Yes of course, we would be missing so much without you to translate for us. Buon labor Amica mia. They are so elegant , professional and talented, and they represent the beautiful country of Italy so well. Daniela you should feel proud as I am sure they felt the pride on this important occasion. Janet, I’m very proud, and even if it was only 5 minutes, it was really exciting. I confirm, they were very elegant and polite, beautiful to look at and to feel. So emotional watching Gianluca singing by himself at the Mediterranean Games, How young he was, but full of poise even if he was nervous inside. Thanks Daniela. Gianluca had just won TI LASCIO UNA CANZONE, he was really a puppy, very sweet! Yes Daniela, just a kid !! What a wonderful post Daniela. We have seen them sing the American national anthem at a major baseball game, and they sang it with the same respect and pride that they sing the Italian national anthem. The last photo with the three of them with Michele is one of the best photos of Ignazio. I hope he keeps his hair that way. Yes Jill, I saw the boys singing the American national anthem, they were very good and it was just as exciting. I agree absolutely with you regarding Ignazio, it’s perfect with that hair, really nice !! oh wow, Daniela! what an honor…. what dignity! what elegance! what grace! — on how they carry themselves! thank you for sharing this. precious. Yes Cynthia, they were very elegant and I think it was Armani too. The director of music that directs Gianluca, is the same that they had even when they were at TI LASCIO UNA CANZONE, even before being IL VOLO. Then they met him, returning from the Billboard award and other times, and they always hug him with great affection. Daniela thank you again for such a nice posting. You bring the boys closer to us with the translations and pictures. Gina, you are always very kind and I am very pleased to do you, company with my post and my translations on our beloved boys. Thank you so much Daniela for all the information on Italy & our precious Il Volo the handsomest men i the world as well as the best singers in the world.. I love hearing everything about them & Italy. I look forward evey day to every tidbit of information I can read about them and we are fortunate to have you as our interpreter. Grazie mille, Loretta, I agree that they are the most beautiful men and the best singers in the world !!! Thanks for the compliments, but I’m lucky to have you all as friends. The best thing I can say, THEY ARE THE BEST. so much. They do so much for the world. Gale, I love them too. They represent the beautiful feelings, which in many young people seem forgotten.